Brenda Reese, left, and Jay Fenwick, right, vote in favor of hiring a design firm to provide detailed plans for long-term construction projects during a April 8 meeting. Board Chair Ron Henries, center, also voted in favor as did board members Steve Combs aad Gary Childers, not pictured. 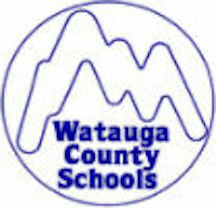 BOONE — A $328,210 bid to start preliminary designs to determine the long-term construction work required at Hardin Park, Blowing Rock and Parkway schools was approved by the Watauga County Board of Education on April 8 during the board’s monthly meeting at the Margaret Gragg Education Center. “The purpose of this work is to provide a deeper dive into the work required for each facility and provide a higher level of detail to the costs associated for each project,” the letter from Asheville-based Clark Nexsen Higher Education Commercial Architect Engineering to Watauga County Schools stated. The unanimous vote allowed board Chair Ron Henries and WCS Superintendent Scott Elliott to approve a contract with Clark Nexsen. “This is just one teeny tiny first step,” Elliott said before the resolution’s passage. According to a Feb. 6 letter from Clark Nexsen to WCS Director of Maintenance Daniel Clark, capital building priorities have been established. Phase one would be Hardin Park, Blowing Rock and Parkway schools, in that order. Per the letter, Hardin Park School in year one would include full roof replacement, NVAC modifications, reviewing the existing electrical system and the fire alarm system and follow up with necessary repairs. The work was estimated to cost $4 million. Blowing Rock School in year two would include repairing exterior wall leaks, roof leaks, HVAC improvements, replacing the auditorium’s boiler and repairing a corridor to prevent “dead end condition.” The estimated cost of the work was determined to be $2.5 million. Parkway School in year three would include HVAC improvements, reviewing electrical requirements for HVAC modifications, reviewing the existing fire alarm system and corridor modifications for improved fire safety. Those improvements would cost $2.5 million, according to Clark Nexsen. Instead of doing all the projects from one school in one year, WCS would likely do one project from each of those three schools at a time. Currently, there is $4 million in the WCS long-term capital fund budget, Elliott stated, which is slated to grow by $1.5 million a year for the next three years. “$1.5 million won’t cover the list, but with time and good planning, we can address many of these projects, but we won’t know where to start unless we make some plans,” Elliott said. The request for qualification for the architects received four responses. It was noted that Clark Nexsen did the WCS facilities study two years ago. “The advantage of going with Clark Nexsen is that they’re familiar with the work,” Clark added. The projects, once fully designed, would have to go before the board for final approval. Elliott said that due to a lack of immediate funds to cover all the potential phase one projects, the work will likely stretch on for years. “Realistically, it could be a 10-year project, but we won’t know until we do this level of design work,” Elliott stated. Board member Gary Childers was hesitant to approve the project, saying planning even three years out would be ambitious and plans could change, leading to disappointment. Henries said that in past years, the board had plans, but money had not been designated for long-term capital improvement projects. At the end of the discussion, Childers said he was in favor of the project and was willing to let go of his concerns about long-term planning. “All the plans in the world don’t matter if you don’t have the money,” Henries said. Elliott said the “clear message” WCS got from the county commissioners was to start work on some of the project list as soon as possible. Board members stressed the need to go ahead and get started. A presentation was given on the student wellness plan. The School Health Advisory Council has worked to implement several goals that were part of the student wellness policy that was updated in November 2018. The highlights include the SHAC focusing on themes on child nutrition, student mental health, student physical activity, employee wellness and health services. 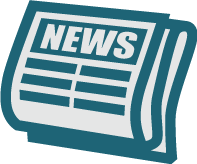 “As in past years, the SHAC confirmed that school district staff are providing the necessary physical activity for students during the school week, including 150 minutes weekly physical education for elementary students, and 100 minutes weekly of physical education for middle school students, working toward the goal of increased health and physical education for middle school students,” the report stated. According to the report, drinking water has been made available at all meal periods and through the school day. And during the spring of the 2017-18 school year, the SHAC, as well as school nurses, promoted the “Commit to Be Fit” program for employees to encourage them to engage in weekly physical activities, which was well received. Annually, each K-8 school will annually hold a health fair to support student and employee healthy lifestyle choices, as well as for ninth-graders at Watauga High Schools.